With only days to go until the 10th anniversary Abu Dhabi Grand Prix, American rap star Tyga and superstar DJ Black Coffe have just joined the F1 bill. Tyga will headline at the Base x 1 OAK pop-up, which is taking over the space above Cipriani on Yas Island, on Saturday November 24. It will be his first of three performances he’ll be doing in the region, with the rap star taking to the stage at Base Dubai on Saturday December 1 and 1 OAK Dubai on Sunday December 2. Each day the club will open at 11pm, with doors staying open until 6am. Table prices start from Dhs7000 on the terrace and Dhs10,000 in the club. 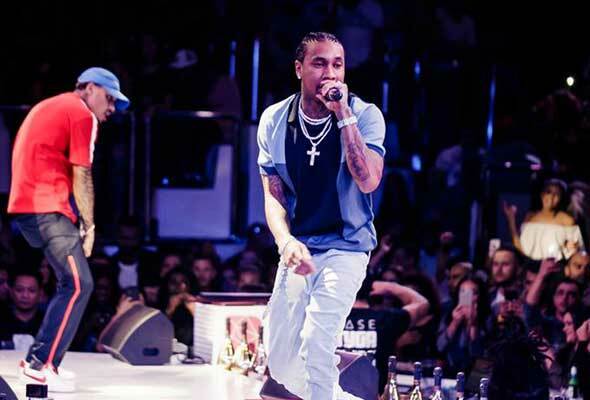 Tyga and Black Coffee add to an already impressive line-up of stars announced to play at MAD on Yas Island which include Nelly, French Montana and Future. While over at the official after-race concerts you’ll be able to catch Post Malone, The Weeknd, Sam Smith and Guns N Roses. Base x 1 OAK, Yas Marina, Yas Island, 11pm to 6am, Friday November 23 to Sunday November 25.